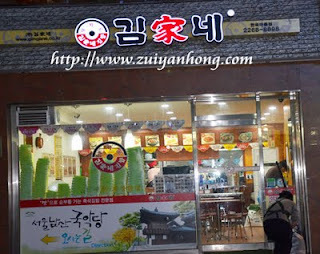 This Korean mini restaurant is located in Phildong, Seoul. It's just outside the main entrance of Namsangol Hanok Village. When my wife and I were traveling in Seoul during February, we stayed in Seoul Youth Hostel not far away from this mini restaurant. We took our meal several times in the restaurant. The prices of the food are affordable. The most expensive is 6000 Won. 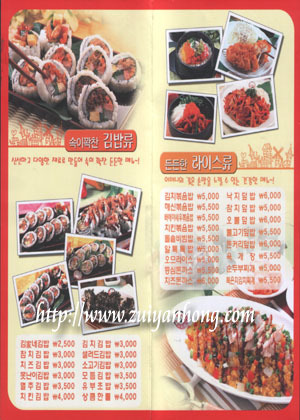 The menu is printed with pictures. It's very convenient for you to order food even you can't communicate in Korean language.